Explore the World of Superheroes at Marvel’s Avengers S.T.A.T.I.O.N. It’s time to add yet another fun thing to do in Las Vegas! How would you – and yeah, also your kids – like to deep dive into the history, science, and technology of Captain America, Hulk, Thor and Iron Man? Now open at the Treasure Island hotel, the Marvel Avengers S.T.A.T.I.O.N. (Scientific Training and Tactical Intelligence Operative Network) is a completely immersive and educational experience; spend some Vegas time inside Marvel’s cinematic world of superheroes and villains as you explore the Avengers S.T.A.T.I.O.N. headquarters. The exhibition allows fans of all ages to participate in a simulated recruitment, as if they were being trained as agents of the famous Marvel Universe. Explore the official S.T.A.T.I.O.N. headquarters with access to an array of intelligence files, classified studies and experiments that explore the history and scientific origins of The Avengers while training to become an agent of S.T.A.T.I.O.N. On display is an extensive range of Avengers operational equipment: Captain America’s uniform and shield, Bruce Banner’s laboratory, Vision’s birth cradle, Hawkeye and Black Widow uniforms and weapons, and Iron Man’s MK 45 suit. At the conclusion of the experience, new S.T.A.T.I.O.N. agents can purchase their personalized ID badge or simply retain a copy within the app, in case they are ever called upon to save the world. The S.T.A.T.I.O.N. app is available for iOS or Android under AvengersStation. Devices with the app pre-installed are also available for rent. Also now open is a very impressive (and massive) Marvel Retail Store, a 7,500 square-foot retail experience, giving fans access to a full range of apparel, toys, and collectibles. Any fan of Marvel is going to love this exhibition in Las Vegas. 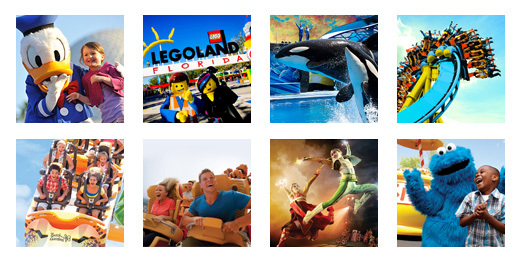 Save on tickets with TicketsatWork.com and enjoy a day exploring the world of The Avengers.